At last VW is ditching the ancient 115bhp 8 valve 2.0 litre engine in the Passat, and replacing it by the 130bhp 20v 2.0 litre as used in the new Audi A4. The 0-60 comes down from 10.9 seconds to 9.6 seconds, top speed goes up from 124mph to 130mph, fuel economy improves from 32.8 mpg to 34.9 mpg on the combined cycle, and CO2 emissions are down from 206g/km to 194g/km. The price for the S spec with standard air-conditioning goes up by £155 to a still very reasonable £14,850, but because CO2 emissions are down company car drivers will actually pay less BIK tax than for the old car. 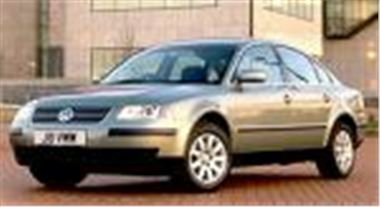 The Passat S Estate with the 2.0 130bhp engine is priced at £15,800. Cynics will see this as a move to differentiate the Passat from the longer, cheaper Passat Plus based Skoda Superb which has to struggle along with the old 2.0 litre 115bhp 8 valver unless buyers pay extra for the 150bhp 1.8T.